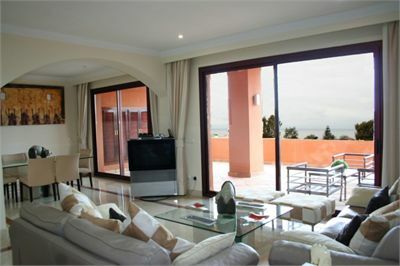 Are you searching for a property that is situated close to the wonderful town of Marbella on the Costa del Sol? If you are then have you thought about looking at the development known as Gran Bahia? This particular development is situated just 3 kilometres from the centre of Marbella and provides you with access to numerous activities and of course wonderful beaches. The actual development is situated in what is now considered to be one of the Costa del Sol’s most exclusive areas, Los Monteros and although not directly on the beach you are just a few minutes’ walk from it. Within Gran Bahia you will find that there are various apartments and penthouses available. Including a number of the penthouses being of the duplex variety so that you living accommodation is over 2 levels. These are all finished to a very high standard and the fully equipped kitchens comprise the latest appliances made by Siemens and come with their own separate laundry areas. Plus every single bathroom is provided with under floor heating and all come with both systems to provide hot and cold air when needed. Every single one of the penthouses and apartments within it are offered not only great views of the Mediterranean Sea but also the mountains behind that help to create the areas micro climate and which helps to ensure that the weather remains pretty good all year round. Along with each property providing plenty of living space inside they also provided with large terraces so that you can enjoy all that surrounds you far better. As already mentioned the development of Gran Bahia is only 3 kilometres from Marbella and it is easy to reach from the airport you just need to remain on the A7 route from Malaga. On average the journey time should take no more than 30 to 40 minutes to complete. Although you may want to spend time enjoying the beaches that are close by including a few of the bars (chiringuitos) that are dotted along them. For those who like a little shopping then close by is the shopping centre known as La Canada. However, for those who want something a little more exclusive to wear then a trip to the resort of Puerto Banus should be considered. This is a place that has become the playground of the rich and famous and so there are many designer stores to be found here including Prada, Carolina Herrera and of course Louis Vuitton. Click the button below to see all our properties in Gran Bahia.